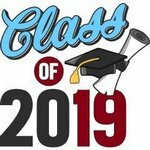 Gadsden County High School: Highlights - GCHS Cap & Gown Picture Day "Class of 2019"
Lights, Camera, Action!!! Calling all GCHS Class of 2019. Here's a friendly reminder that your Cap & Gown Picture Day is on the way - Wednesday, February 6, 2019!!! Props will be available. Please review flyer below for more details.